We all know android is fastest growing mobile as smartphone worldwide and share around 70% ( average ) to global market. Even most of the mobile app developers prefer to work on android platform. So what make it this much popular? Apart from external applications, android itself is a package of wide variety of products. But many of us don't know about them. In this tutorial I had written top 10 Android Tricks And Tips that you should know to make your android phone more smart! 1. Open your phone "Settings"
3. Here you will find "Build number". Click over it 7 times as soon as possible and a dialogue will appear showing message as "you are now developer!" It's a one time process which means you don't need to follow above steps again. I can't show you preview because I have only one phone which is already in developer mode. But from below picture you can get idea about how it will look. 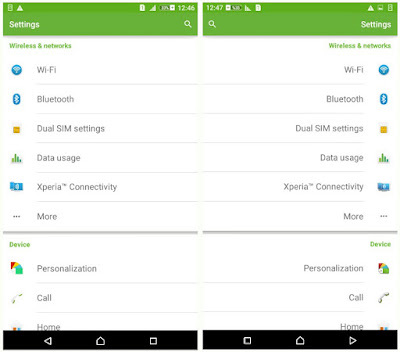 After all this, a new setting option will be added to your android phone as "developer option". we will be using it's features in below tricks also. This Tricks make use of some features which may not be available on Jellybean powered devices. You should have at least 4.4 KitKat version or above to enable those options. 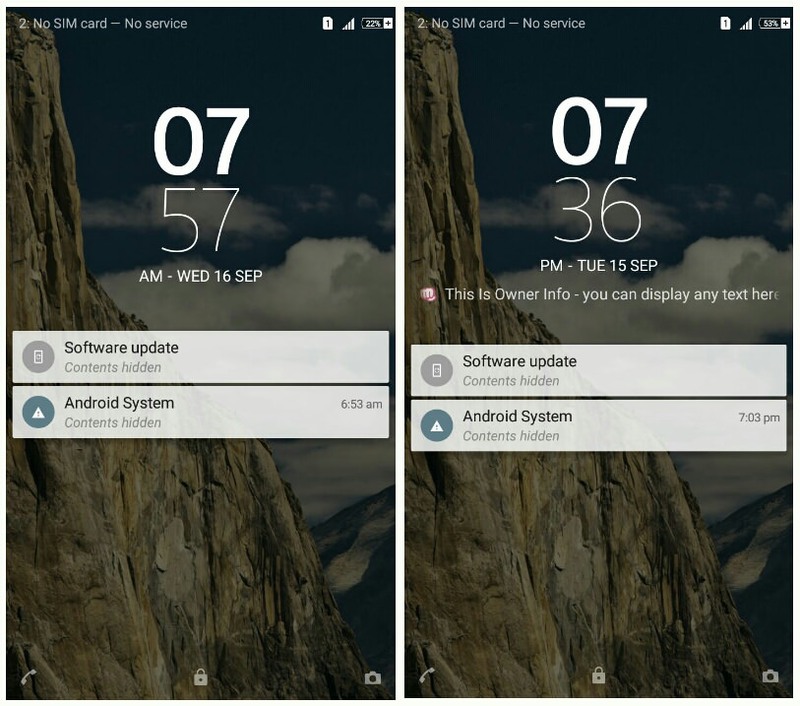 First see the changes how your android screen will look after applying this. It simply align your screen from left to right which may be helpful for left handed users. 2. Find "developer options" which we had unlocked earlier and open it. 3. Now look for "Force LTR layout direction" under "drawing" section and mark the button next to it. You have Done. I used this trick to prank my friends and he really got shocked after seeing this. So Is it Cool? Now if you want to revert those changes, simply un-mark the "Force LTR layout direction" or turn off developer option. 2. Find "Security" and under "screen security", click "owner info"
3. Now write the text you want to display and save. Lock your phone and when you open it, a moving message tray will appear that will show your texts. Note: Word Limit for texts is 100 characters and you can use smiley or special characters also. 1. Go to "Settings">"Data Usage"
2. Now look for option button ( three dots ) at top right corner. Samsung users can use external touch button to show available options. 3. After this you will find "restrict background data". click it. 4. New pop-up box will appear to allow permission. Click OK and you have done it. 2. Here you will find "cached data". As you click on it, system will ask you for permission. Click OK.
1. Go to "Apps" under "Settings"
2. 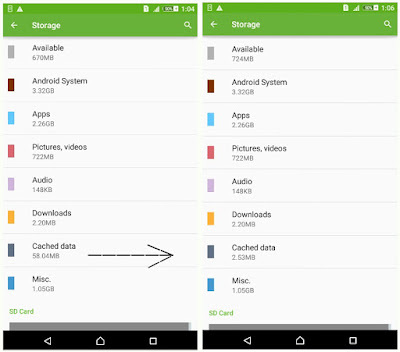 Find the app of which cached data you want to delete. 3. Click on it and a new window will appear as in below picture. Now click on "clear cache". There is no harm of deleting cached data. 1. Move to "Apps" Under "Settings". 2. Now from "All" tab, choose app whose notifications you want to block and open it. 3. 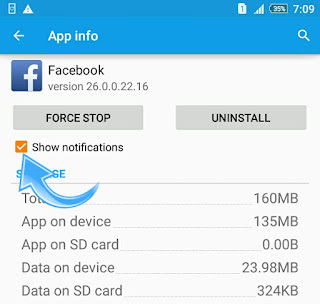 After this "App info" will open where you will find "show notifications" option as tick marked. simply un-mark it and it will ask for permission. Click OK and you have done. Not funny! But many of us don't know how to take screenshots. Even it's vary from device to device and system to system. Screenshots are very important and in this tutorial I had used around 12 of them. As I told, they are different for different mobiles, So I have collected 3 tricks that you can try. First go to location where you want to take screenshot. Now long press "power button" available either at the top or left side of phone along with "volume down button" and it will automatically saves a shot of entire screen. If above way doesn't work, try this one: Hold the "power button" and then press the "Home button". In case if both doesn't works, try this instead: Hold "power button" for few seconds and you will get three options as power off, Restart and Take Screenshot. You need to work hard in order to get best pairing. Still failed? Try again and again. 1. Go to "settings">"About phone"
2. Here click on "Status" and move to "General". Sometime Bluetooth and Wi-Fi MAC Address may show "Unavailable". In such case, first turn ON your Bluetooth and Wi-Fi and try again. If you have dual SIM mobile, then their will be 2 IMEI numbers. You can also use android code to do this. Simply type "*#06#" in dial-pad and a pop-up box will appear showing your both IMEI numbers. Note down all these numbers at safe place. It may be helpful for you in future. 1. Again Go to "developer options" from "settings"
2. Now under drawing section you will find 3 options as window animation scale, transition scale and animator duration scale having animation scale value as 1x default. You can move scale from 0.5x - 10x. Increase or decrease as you want. To slow down all processes, make all values to 10x and enjoy changes. However these animation effects are big factor for short battery life, so I prefer you to make them OFF. Daydream is an android feature which let you display photo Slideshow while your phone is on charging or docked. Daydream is only available on handsets having Android version 4.2 or later. 2. Click daydream option. Now new window will appear, turn ON the feature using button at top right corner. 3. Now choose the option you want to display and set it's setting. 4. From the options menu , click on "when to daydream" and set for both ( charging and docked ). See below image for help. All done now! To see preview, again go to menu option and select "Start Now". As you probably know, syncing data between Mac and Android is not an easy task as Apple doesn't offer any built-in option to do this. But if you still need to keep data updated on both devices, take a look at SyncMate, sync tool for Mac and Android which syncs data directly between devices without the necessity of using cloud storages. SyncMate syncs contacts, calendar events, media files, folders and allows mounting Android as Mac disk. 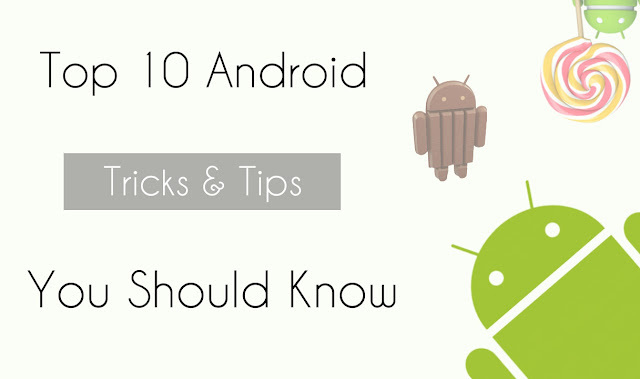 So these are top 10 Android tricks and tips that you should know to make your android phone more smart. You can also use these tricks to prank or show-off your friends. If I forgot something, please remind m in comment. All above tricks & tips are tested on Sony Xperia C3 Dual device with Android's Lollipop version and are working fine. If any one from above list doesn't work for you then please update your system and try again using latest version.